Description: Sometimes Jesus, with a gentle touch, compassionate look, or strong command, brought about the miraculous. But the one thing that always accompanied healing was a simple word spoken by Jesus. 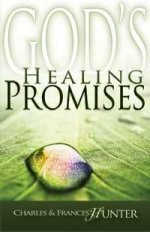 Saturate yourself in these healing Scriptures and experience the promise--and power--of His Healing Word. Would God Do It for Me?